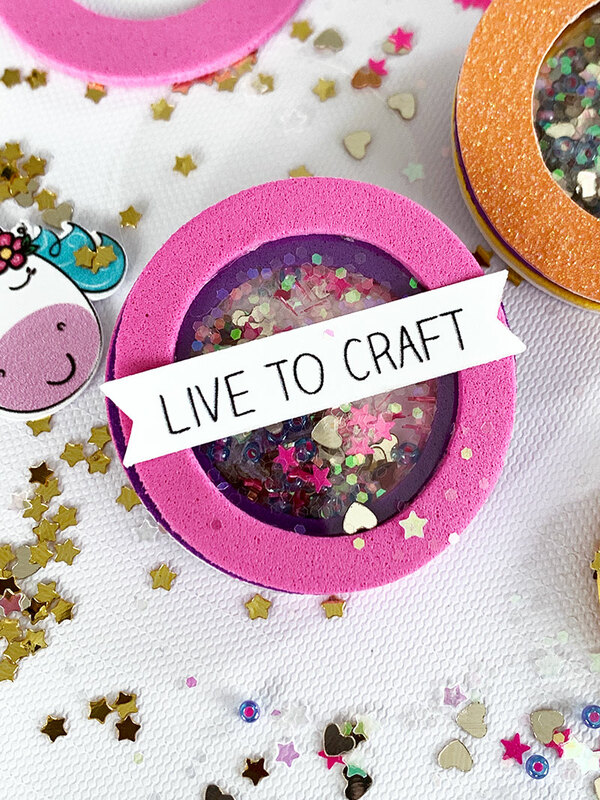 Shaker pins are fun and oh so cute! Jen Goode is back again this month with this fun craft idea that the entire family will love. These shaker pins are a cute mini craft you can make as party favors or classroom crafts. Kids and adults will have fun customizing their own pin. When they are finished, they can wear it and show off their crafty work. Links below may be affiliate links which means that you do not pay anymore, however, a portion of your purchase will go to support this site. You can cut all these materials by hand. Or, I’ve created free cut files you can download and use. The clear layer is a simple pin-back plastic supply piece, but you can use any kind of clear acetate or plastic sheeting. Glue – I used the Xyron Lite to apply adhesive to all the pieces. 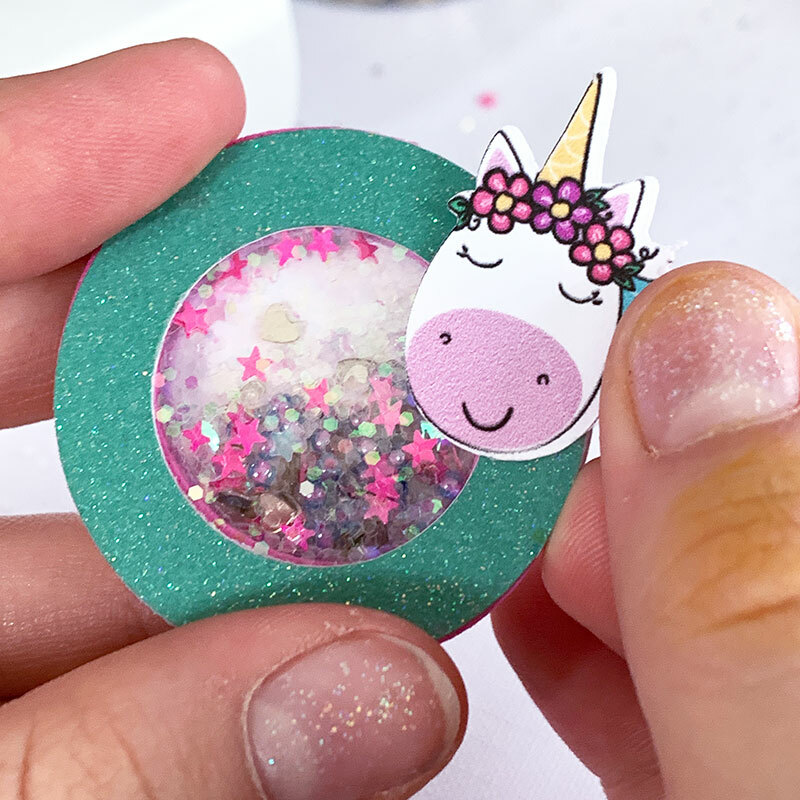 For each pin, you will need: 1 background circle, 2 foam rings, 1 front cardstock ring, and plastic circle as well as glitter and whatever decorations you’d like. You’ll also need a single safety pin and a pin ring. Download these free printable craft project files from my blog. 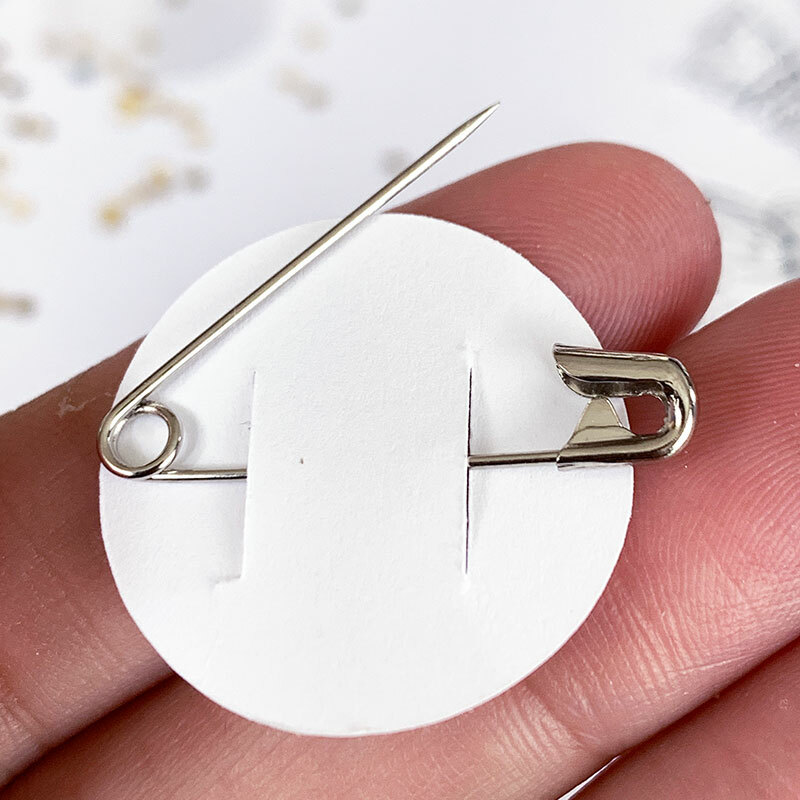 Cut all the pieces you need for your pin. Apply adhesive to the back of each piece except the clear circle. Stack the foam rings on top of the background circle. 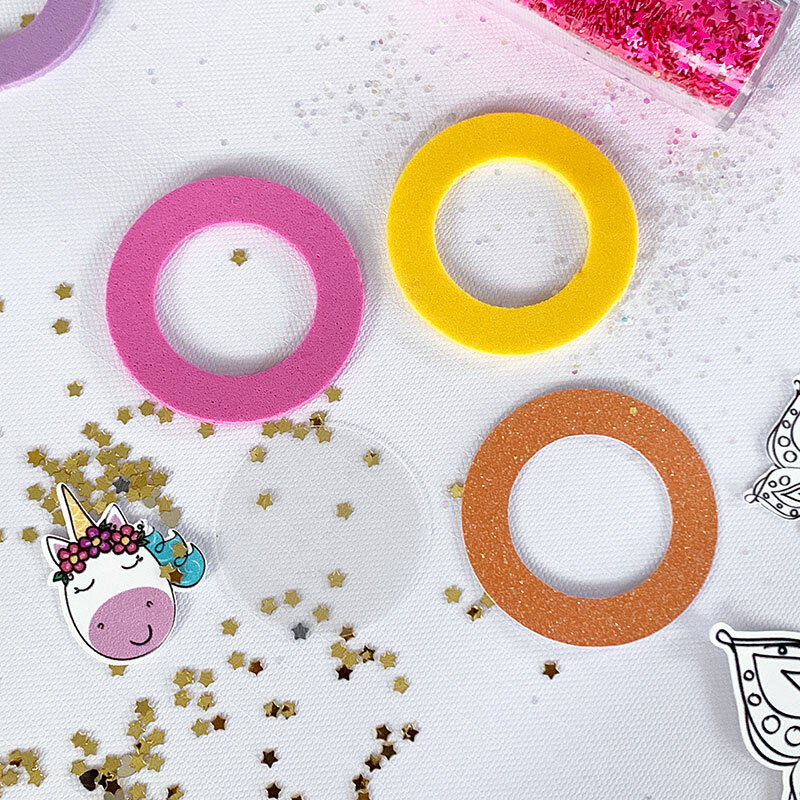 Add glitter to the circle stack. I like to use a combination of glitter and small beads, it seems to shake a little nicer. Next, add the clear circle to the center of the remaining ring. This will become the “lid” for your shaker pin. 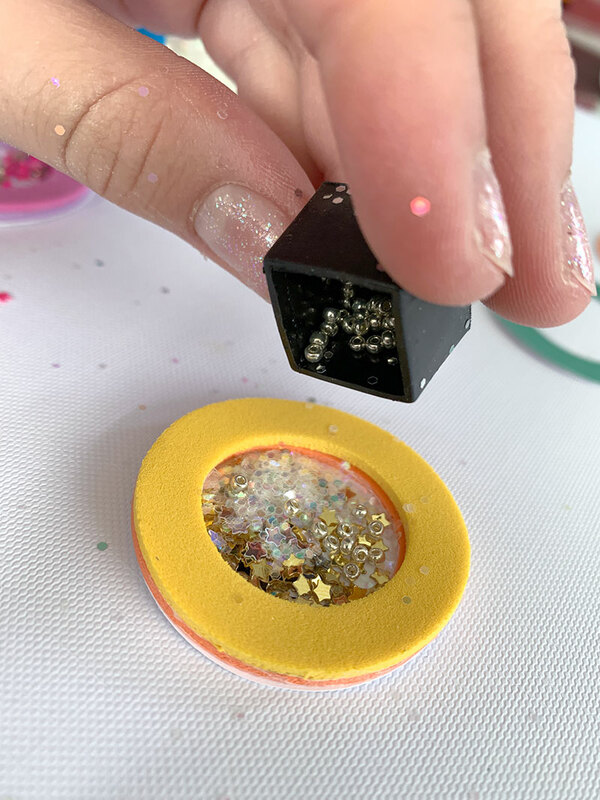 Adhere this lid to the top of the stack, covering the glitter. Add a pin circle to the back. The shaker pin can include a safety pin on the back so you can pin it to wear it or pin to a backpack. You can also glue a magnet to the back of the shaker to make a cute magnet for your fridge, office board or a school locker. Get creative and have fun, you can make all kind of customized designs. 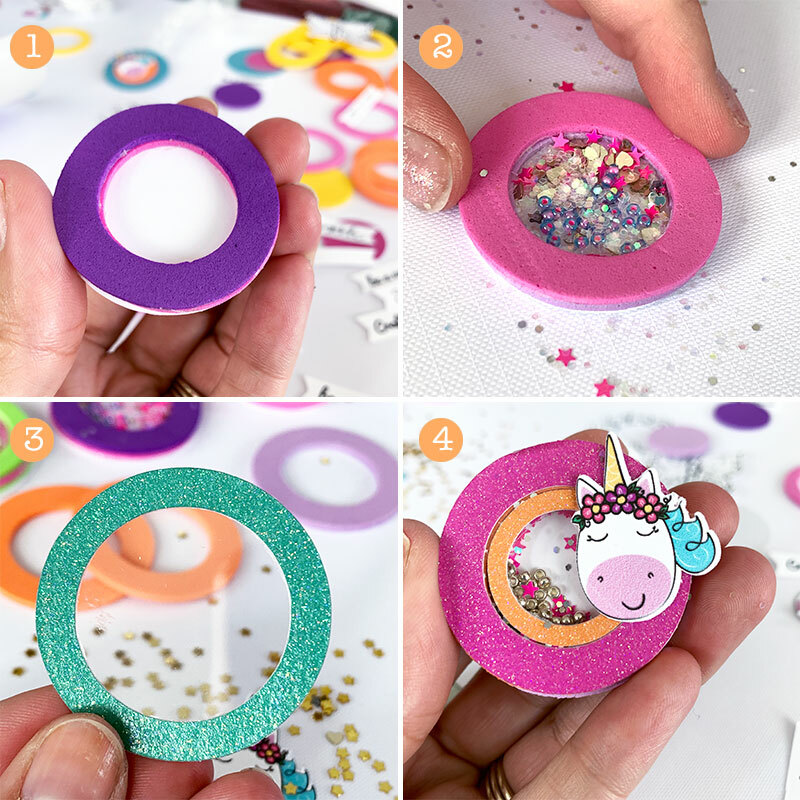 This pin circle is easy to apply and you can make it yourself without a Cricut machine. Just cut a piece of card stock, cut two slits and place the pin through one side and out the other. You then attach it to your shaker pin by gluing the pin circle cardstock to the back of your shaker pin. You can create these pins with all kinds of shapes and decorations. Change the sizes to make large shaker pins or cute small ones. Mix and match the colors for any party theme. If you use your Cricut machine to cut the free cut files, you can combine these designs with other fun designs available in Cricut Design Space. 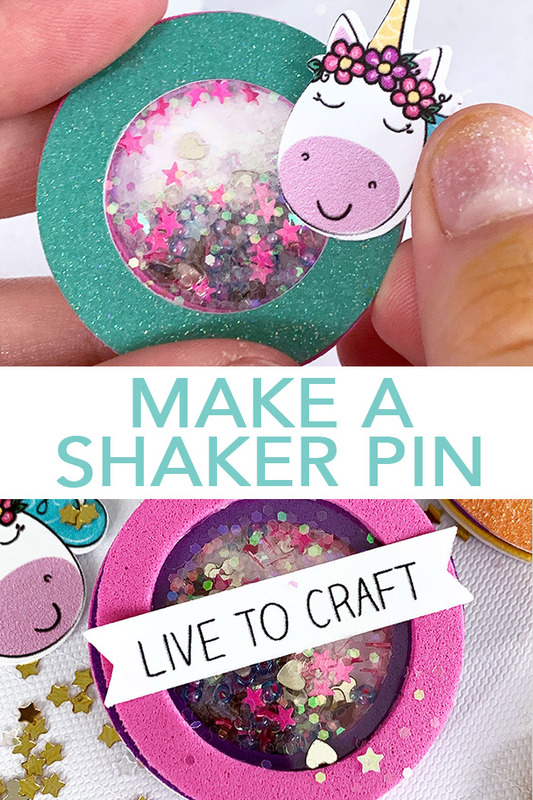 Have fun and make some shaker pins to share with friends! Love these shaker pins and want more ideas? Try the links below! next post: The Best Grilled Cheese Recipe with Bacon!